International executive protection – close protection – bodyguard licenses are subjects we are being asked about all the time and I want to put things straight. There are numerous companies claiming to offer international close protection – executive protection – bodyguard licenses or official certification- there are no such things! These are purely a marketing ploys to attract students. Wherever you work, you will have to work within the local laws and requirements and these vary greatly from state to state and country to country. There is no course that covers all laws and is internationally recognized. If you do not believe this, phone up your local licensing authority and ask them and then inform them of anyone who is offering these false executive protection – close protection – bodyguard licenses and certification recognise at International level. 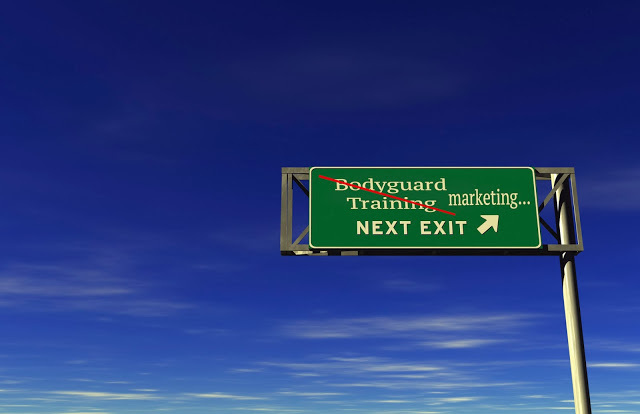 In most places, the only legal requirements you need to be a bodyguard is a basic security guard or private investigator’s license, if that; there is no need for any specialist training, military or law enforcement experience. Simply having a security guard or private investigator’s license does not makes you a high risk bodyguard, any more than having a driver’s license does not make you a licensed racing car or stunt driver. We know that in Britain the government (SIA) is regulating the security industry and this will include the close protection – bodyguard – executive protection sector. The SIA close protection licenses appears to be one of the few specific close protection – executive protection – bodyguard licenses that will require proof of minimum training or experience to qualify for it. This license will only officially be recognized inside of Britain, we have already people contacting us for work claim to have been inform the with the SIA license they could work anywhere. WRONG! Government licenses are only valid in the country or state of issue. The standard of training for most government licenses, range from average to poor, and the courses usually only last a few days. Government licenses do nothing more than train security guards etc. to the minimum required standard for insurance purposes and verify that criminals are not being hired. In some areas, private investigators (PI) licenses can be gained through internships and these internships can be bought, for a fee. We know a few self-proclaimed high risk bodyguard servicing around the globe, who gained so called experience for his PI license working behind the counter of a gun shop and another who is virtually illiterate in English, Spanish or Italian! There are many so called bodyguards and companies who have never done any training, apart from security guard training or investigator’s study- this is their choice-but they have to know – in theory,theory and practice are the same…in practice,theory and practice are NOT the same. If you want to employ, train with or work for this type of company, it is your choice but do not expect to be taken seriously outside of your ,,village”. Always check the background of those you employ, train or do business with and if people cannot provide proof of experience, there is a very good chance they don’t have it. Close protection – bodyguard – executive protection and specialist security courses are meant to give you training in advanced procedures and techniques that are not normally employed by security, military and law enforcement units. The close protection – bodyguard- executive protection business is a specialist business, and you need specialist training. You cannot expect to do a 4, 7 or 30 day course and be a trained and certified bodyguard,and most important for a company is that they search ,for hireing ,already experience personel(ex-military- some of the security companies refuse Ex-police force,the Police is not the same as a military camp. Most of our personnel/associates have a minimum of 10 years experience(military experience) and they are still learning and training every day. We at ECPC&Co only recognize the training given by us and our close associates. There are many other companies and schools, but is up to you to do your research and find out which ones are for real. If they are offering close protection – bodyguard – executive protection licenses or official certification etc. we would say stay well clear and inform yourself.